DO-20046-02 was succesfully added to your cart. 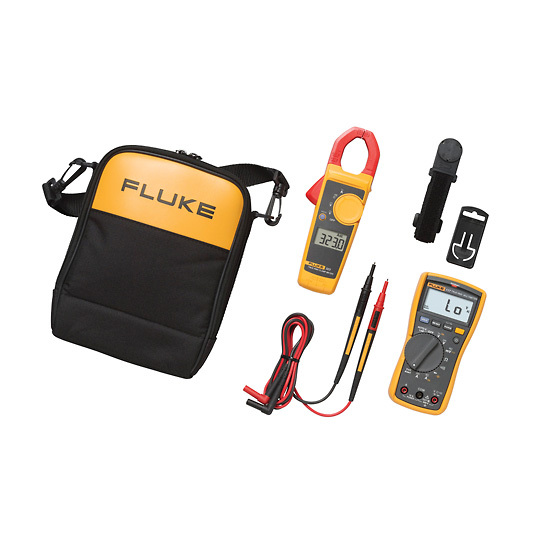 This combo kit combines the Fluke 117 multimeter with a Fluke 323 clamp meter for productive and effective troubleshooting in one total solution. This kit is an essential part of any organizations preventive maintenance program. 117 True RMS digital multimeter with noncontact voltage detection, TL75 hardpoint test lead set, 323 True RMS clamp meter, ToolPak magnetic meter hanger for hands-free operation, C115 deluxe soft carrying case, and one 9 V and two AA batteries.